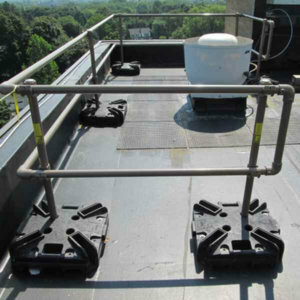 Portable Safety Railing is a valuable asset to both the general and construction industry. 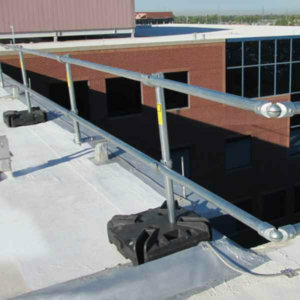 Removing the fall hazard with the use of safety railing is always to be preferred to personal fall protection systems such as tie-off anchors and lifelines. 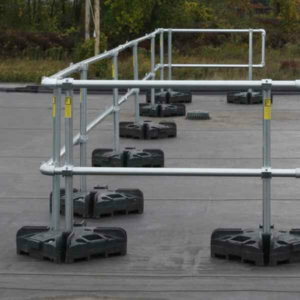 We offer several high quality portable guardrail systems that can help you to protect people working at height. Choosing the right system is vital to ensuring that proper fall protection is in place for people who are working at height. Get started with the right system by asking yourself the four questions posted below. Do you really plan on moving the railing? 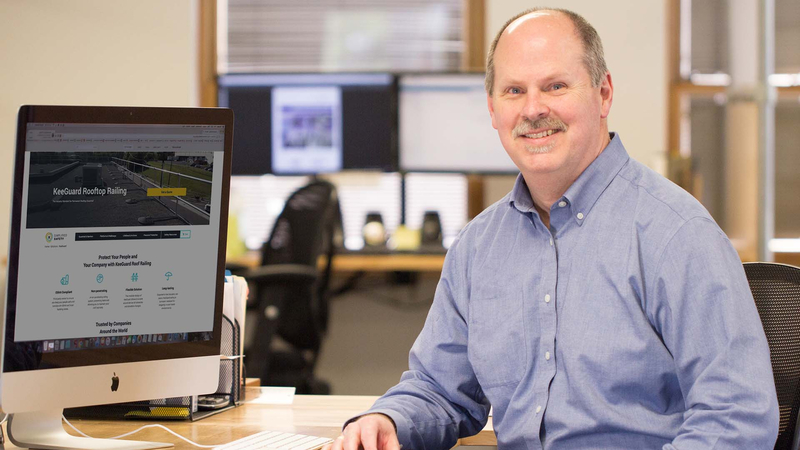 A fair number of our customers come to us for portable guardrail, but what the really want is something that is non-penetrating. People tend to equate portability with non-penetrating. 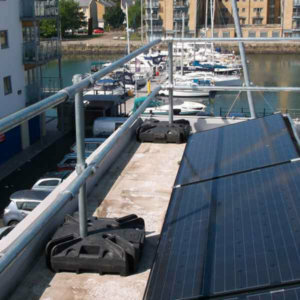 We offer several non-penetrating system that are meant to be assembled and stay put on the roof. These railings are easy to install and offer a more integrated look than traditional portable railing. 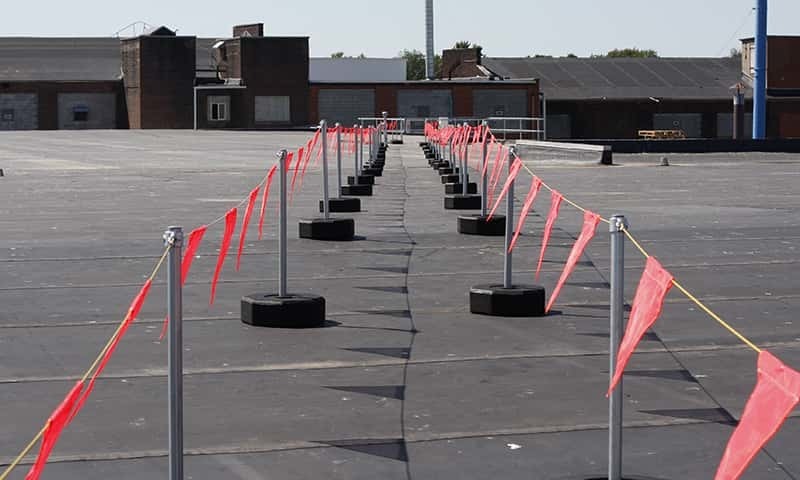 How often are you planning on moving or reconfiguring the guardrail system? 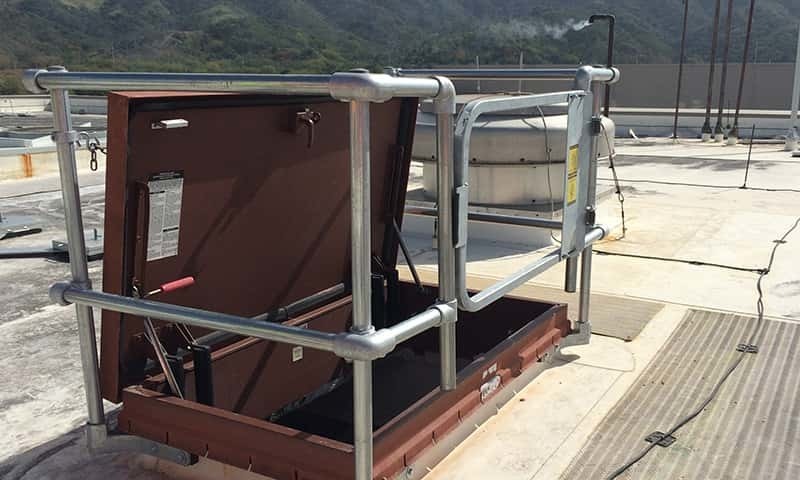 Are you planning on taking the railing from site to site, or do you need to simply move the system for maintenance a couple times a year? Frequently - If you are planning on moving the railing frequently then see our mobile guardrail system. 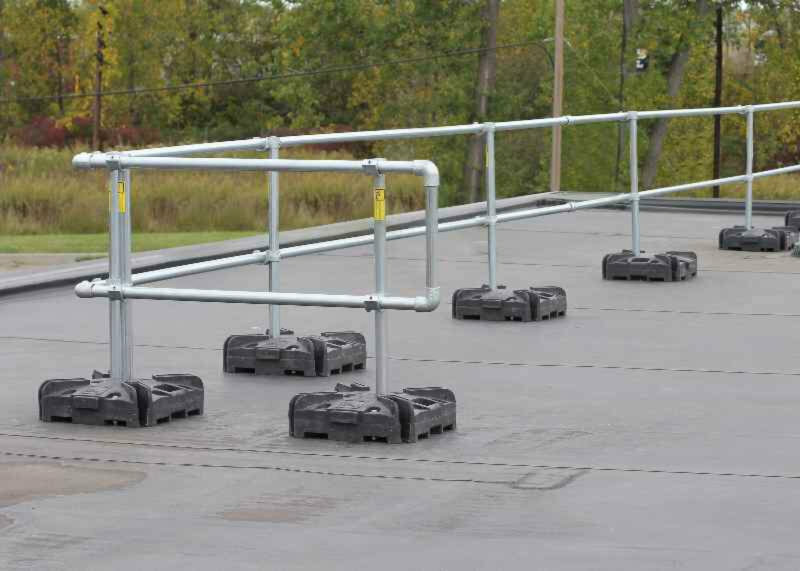 The guardrail units come in modular sections that are very easy to move. Infrequently - If you only need to move the railing on an infrequent basis, a non-penetrating system may do the job. All of our non-penetrating railing solutions are modular and can be partially disassembled with a few simple tools. See the non-penetrating railing systems if you are only moving the railing a couple of times a year. 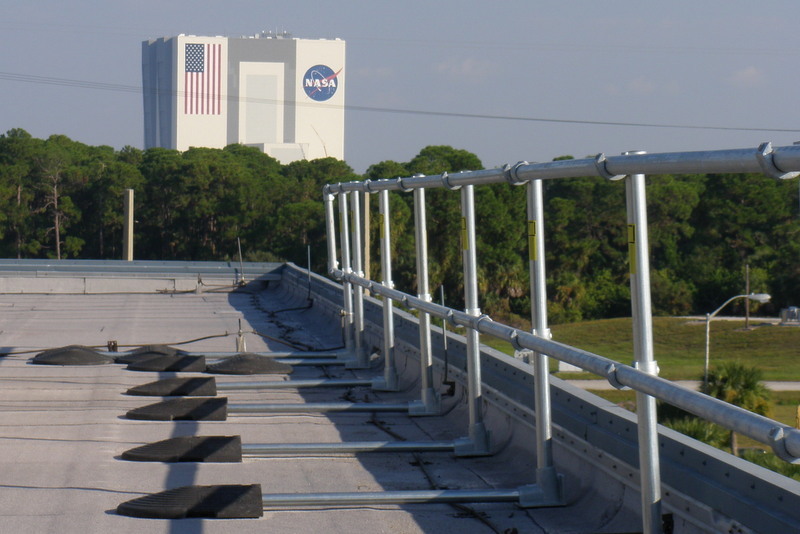 Are you planning on using the railing on an existing building or a construction site? 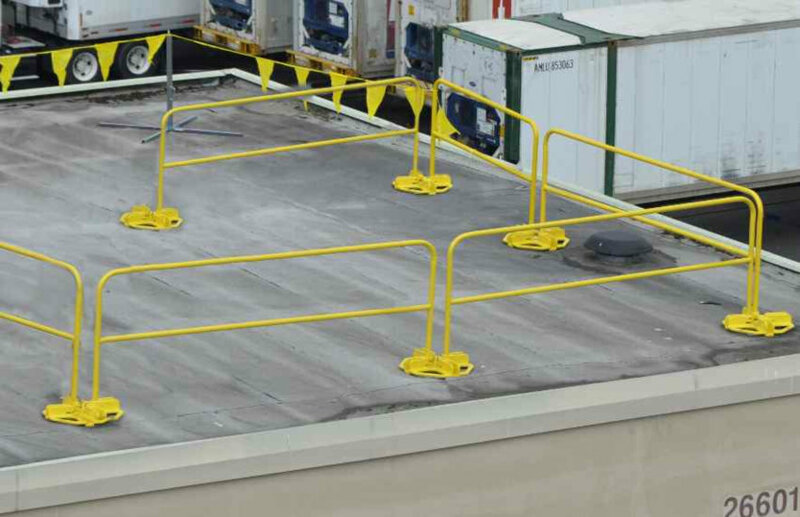 OSHA has different standards for railing that is used in general industry and construction sites. 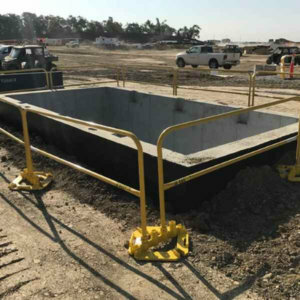 Construction Industry - Construction guardrail must conform to OSHA 1926 Subpart M which allows for larger railing sections to be used. 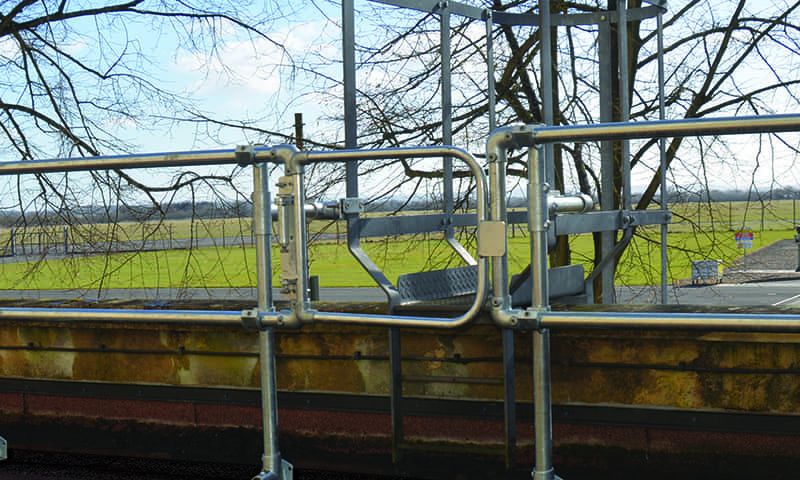 If you're using the railing on a construction site, you want to use the mobile guardrail system. General Industry - If you are using the railing in general industry, the system must conform to OSHA 1910.23 and in that case both the mobile and non-penetrating systems can be used. In the case of general industry, most customers prefer the non-penetrating railing because it has an integrated look and is more durable than our mobile railing system. How important is the aesthetics of the railing system? Depending on where the railing is located, aesthetics of the guardrail system may be more or less important. 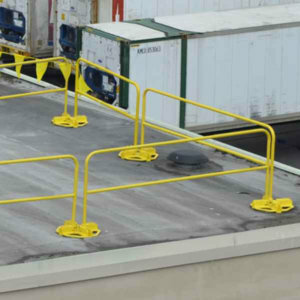 The mobile railing system is safety yellow and looks like a construction railing. It has separations every 8 to 10 feet and does not have an integrated look. The non-penetrating guardrail systems use pipe couplings to create a consistent linear look to the guardrail, making it look more integrated into the existing structure. 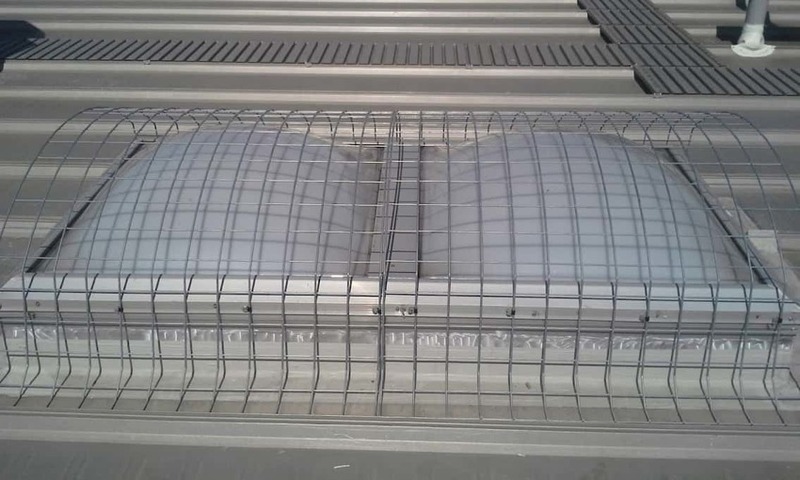 The non-penetrating systems also come in a plain galvanized finished that can be left as is or alternatively powder-coated to any RAL color. This can be helpful when trying to achieve a fully integrated look with the building aesthetics. Skylights are one of the most subtle roof hazards, often overlooked because the roof openings are covered with a skylight. 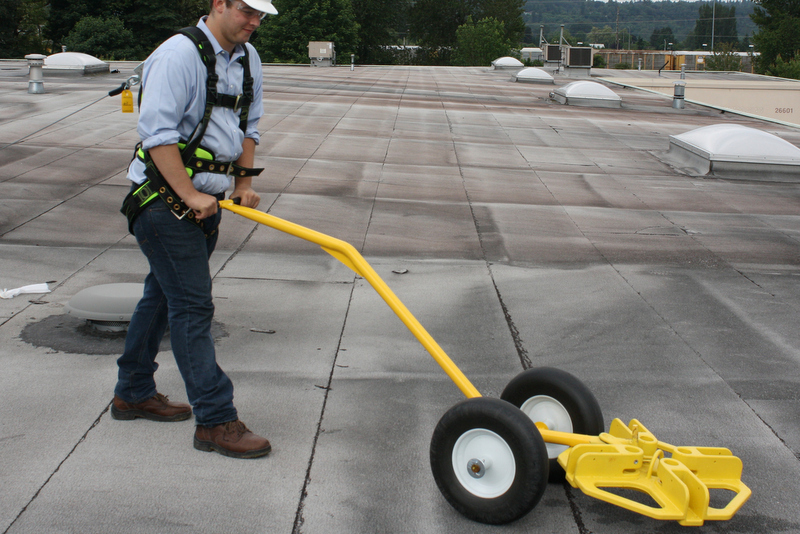 However, most skylights are not designed to bear the weight of a worker, resulting in multiple deaths each year, and required to be protected by US and Canadia. 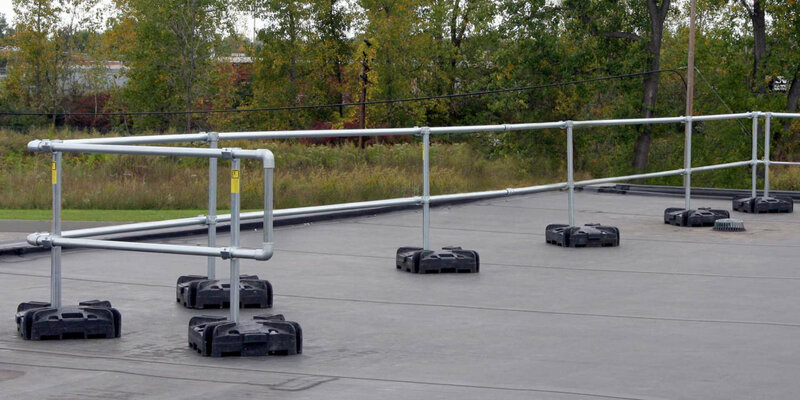 Our team of Fall Protection Specialists can help you choose the right portable railing system to fit your needs and your budget. What Kind of Railing are You Looking For?